I was considering a product for use recently. This was not the traditional Erythropoietin injection for which generally the cold chain is recommended. 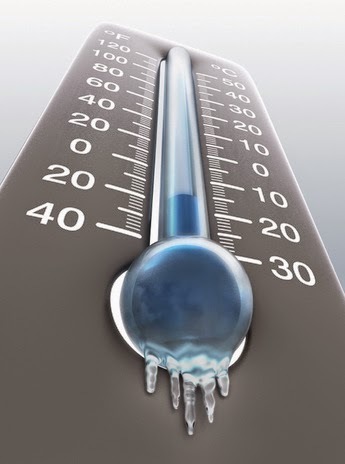 Cold chain means maintaining the product at a temperature of between 2 to 8 degrees centigrade to ensure that it remains effective when it is used. This is because the product contains certain ingredients that are effective only if maintained at that temperature. The moment you keep them outside the required temperature, the product loses its effectiveness and even after that period, if you bring it back to the temperature, it is no longer effective. On the product I was reviewing, it was clearly written that it must be maintained between 2 to 8 degrees centigrade. The samples that I had got did not come with an ice pack (which is the most common way to maintain the product at the desired temperature for short periods when they are delivered to the end user). I was surprised. I thought that the person who delivered the product might have messed up. I irately called up the vendor and told him that the product was delivered to me without an ice pack. I was shocked by his response. He said this product did not require to be maintained at cold temperatures! I told him it clearly stated on the pack. He said that they write that but it really does not require the cold chain. The horrifying thing about this is that this product is in use at many hospitals from ages. I can almost guarantee that many people are using this without realising that the product is not effective. Many patients have been put at untold danger by using this product. When the vendor himself is so callous about such an important aspect, where does that leave the poor patients? I remember reading some peer reviewed papers in medical journals that tested this product and found it to be as effective as another product that did not need a cold chain but had certain other disadvantages. Somehow Indian doctors were a little apprehensive about the results. I now know why! I sometimes feel very helpless. Before any product reaches me, the end user, a patient, how many people does it go through? Even if we assume that the manufacturer did a good job (it is in his interest that the proper conditions are maintained because the effectiveness of his product is extremely important for him), what about the numerous other people who would not be as careful? Even if one person is not careful enough, the product could be rendered ineffective! With so many challenges faced by us patients, here is yet another.